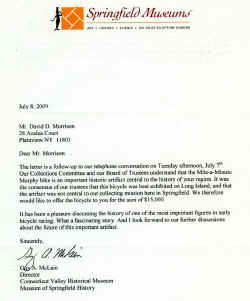 Data and images courtesy of Dave Morrison unless as noted. 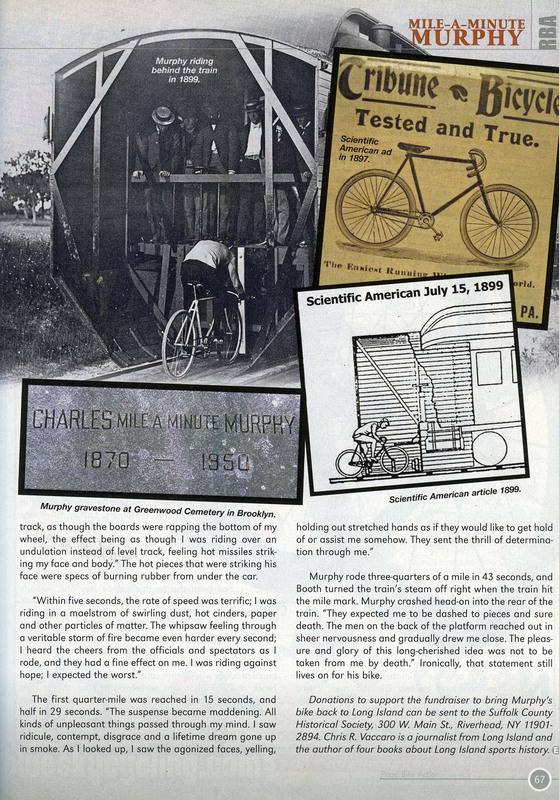 advertisements that had been published elsewhere. 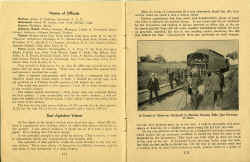 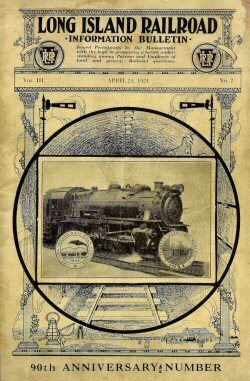 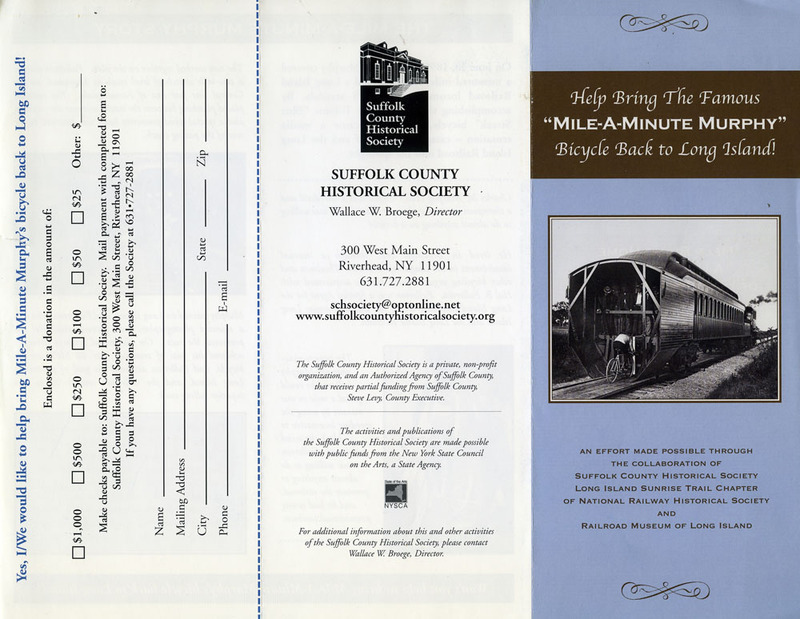 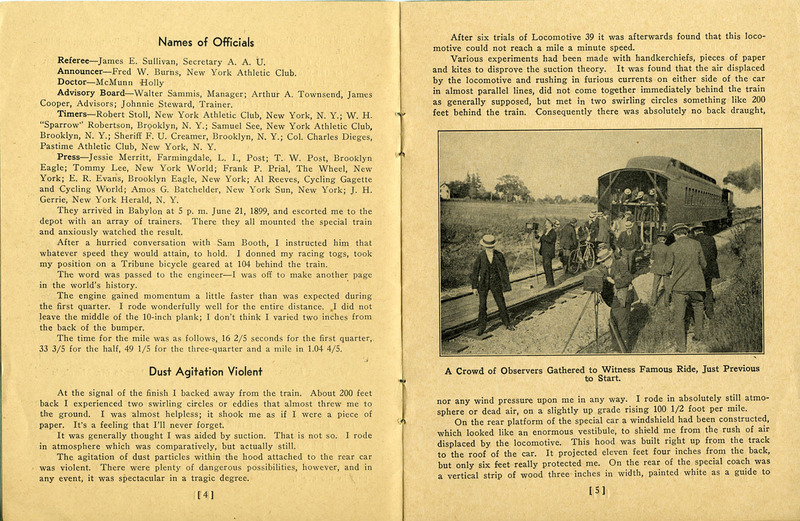 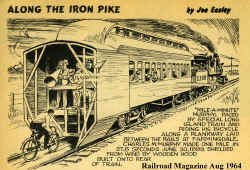 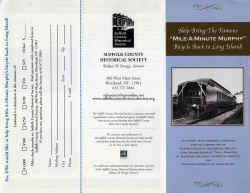 In addition, the railroad organized and hosted promotional events. 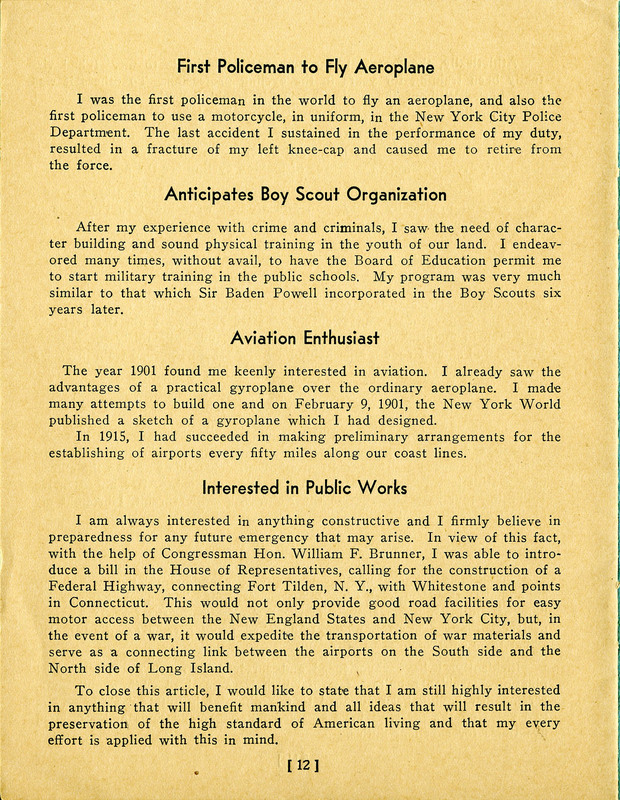 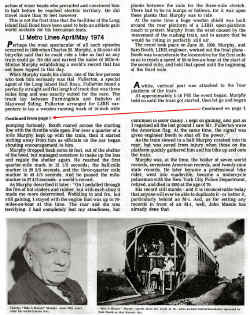 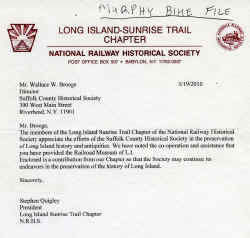 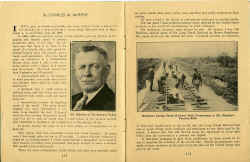 LIRR Special Agent Hal B. Fullerton, the single most important figure in the railroad’s massive promotional campaign, spent thirty years in the railroad’s Passenger Department “promoting and advertising events, activities, or plans that would bring public attention to the Island’s potential for sport, recreation, business and residential development for both the middle classes and the urban elite.” These events included lectures delivered by Fullerton (1897-1929), the Vanderbilt Cup automobile races (1904-1910), the Mile-A-Minute Murphy Challenge (1899), and experimental farms at Wading River (1905-1910) and Medford (1910-1927)..."
"...By far the most imaginative of the LIRR’s efforts to promote bicycling on Long Island was the Mile-a-Minute Murphy Challenge. 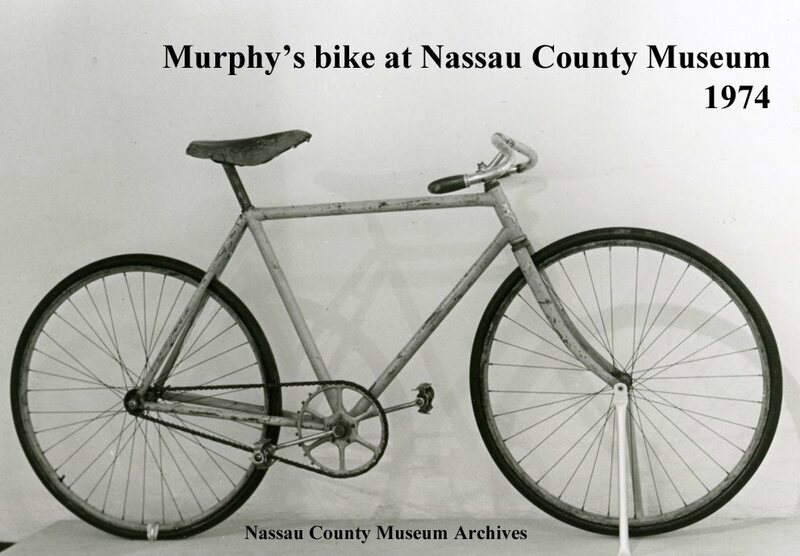 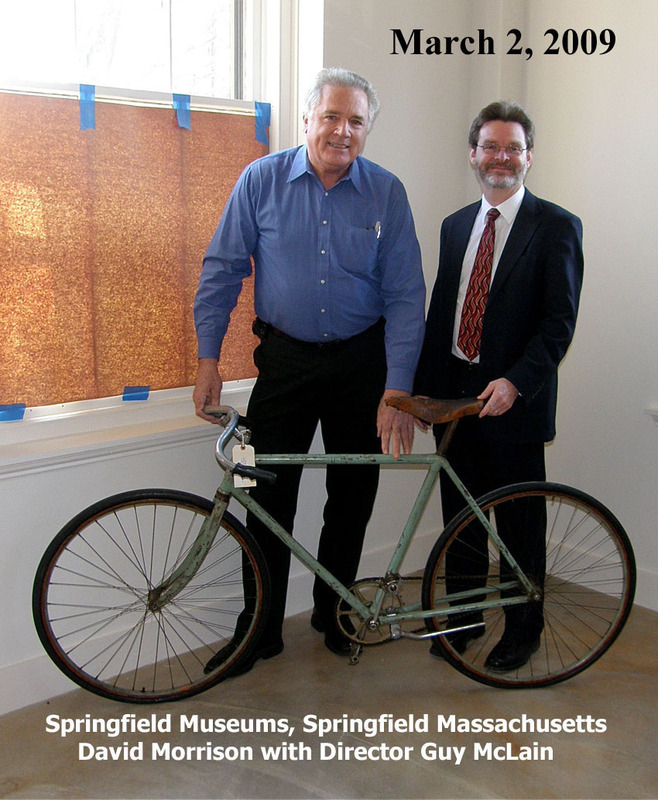 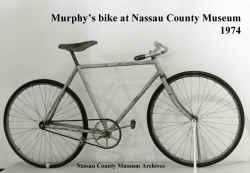 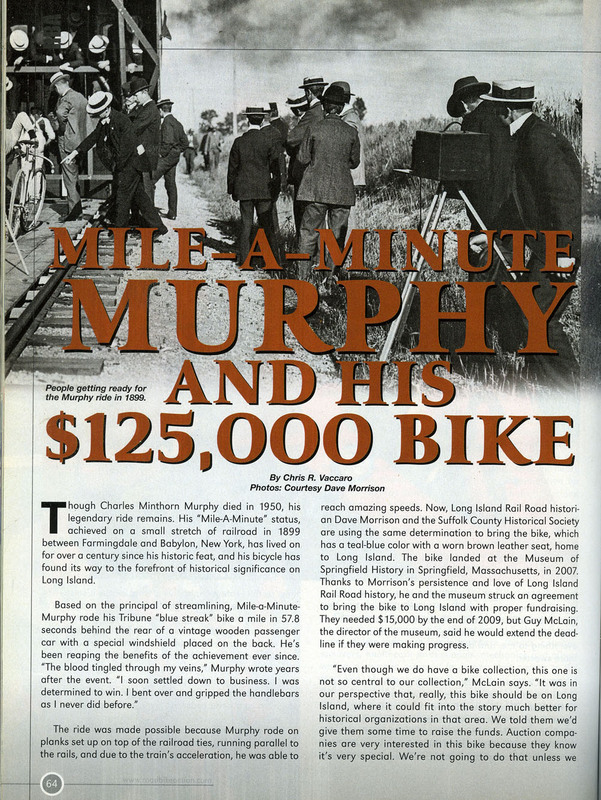 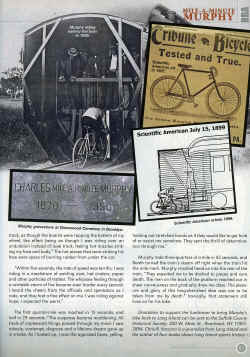 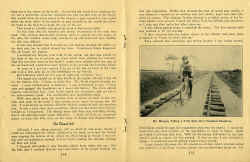 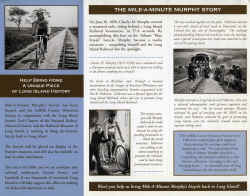 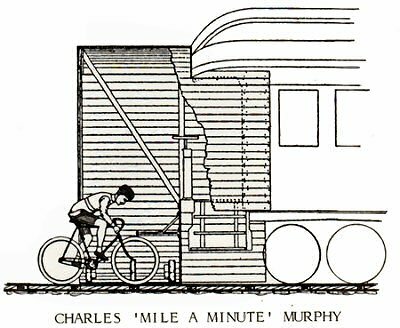 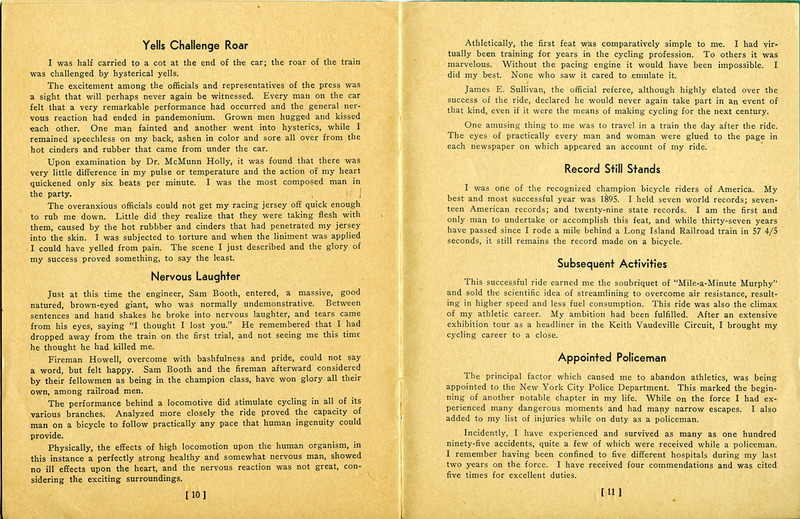 During the summer of 1899, Charles M. Murphy, a champion amateur cycle racer from Brooklyn, thought that in the absence of wind resistance he could he ride a mile in one minute or less. 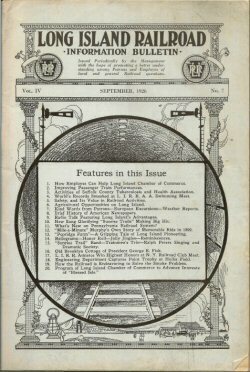 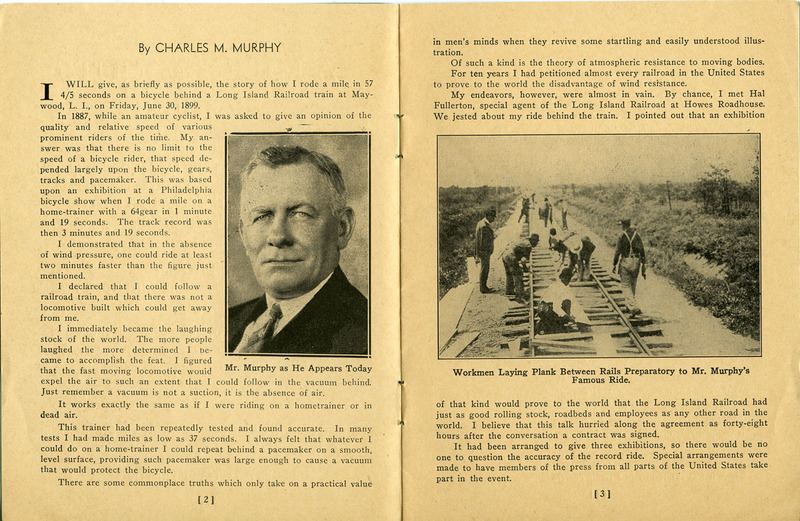 Together, he and Fullerton designed a wood-planked raceway that would run between the railroad tracks of the LIRR’s central line near Farmingdale. 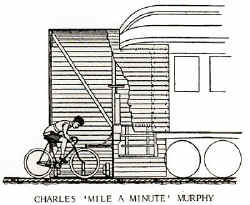 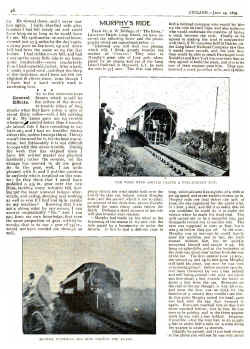 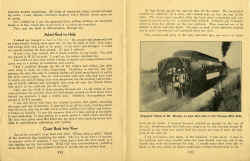 Theyattached a wind-protective hood to the rear of a railroad car: this car would serve as Murphy’s pace car, clearing the air in front so that he could ride unencumbered by air resistance. 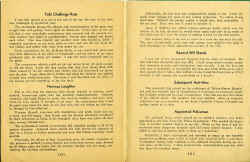 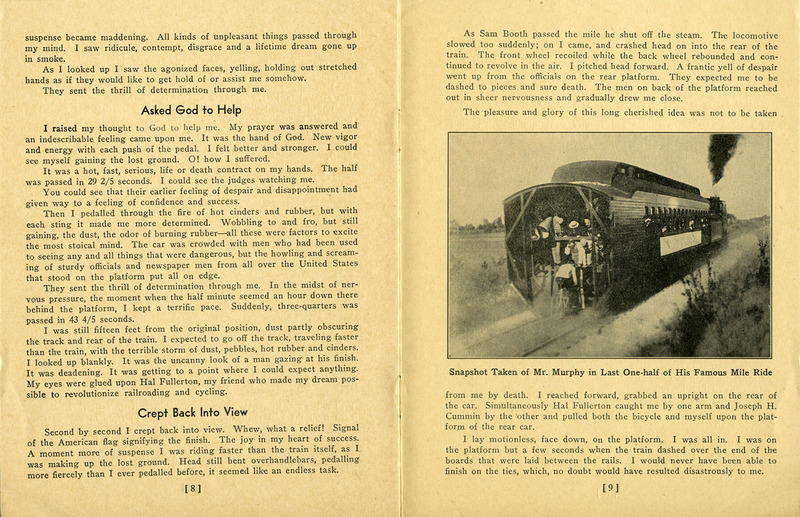 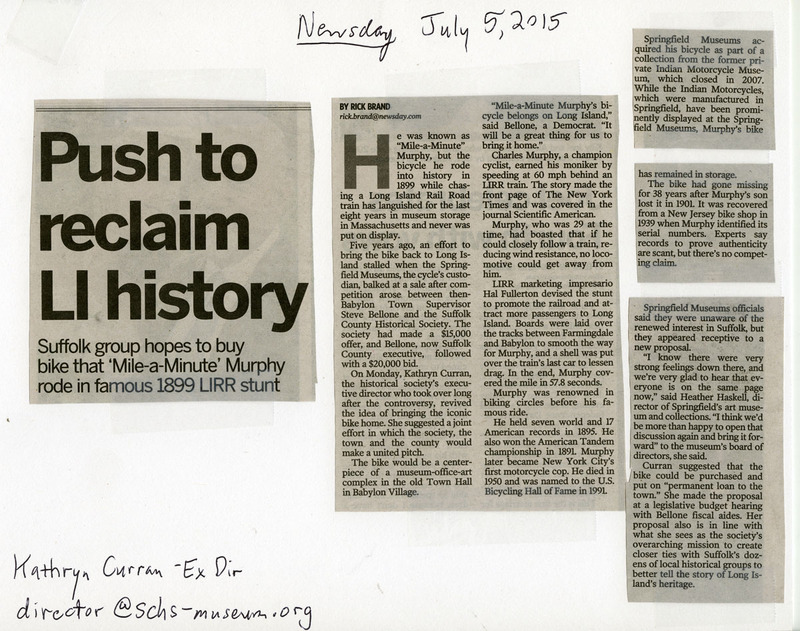 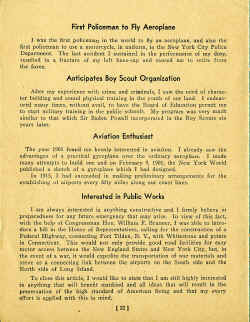 Murphy’s Challenge was highly publicized by the Passenger Department. 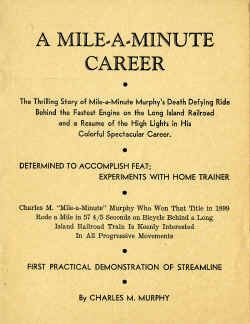 They documented his training regiment and invited every possible media outlet to the event. 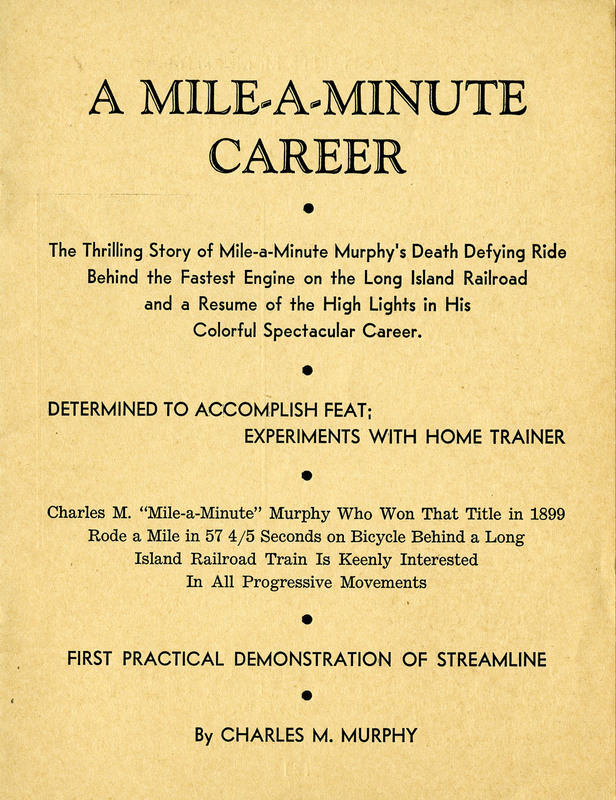 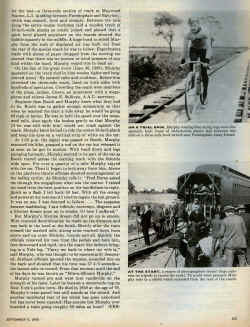 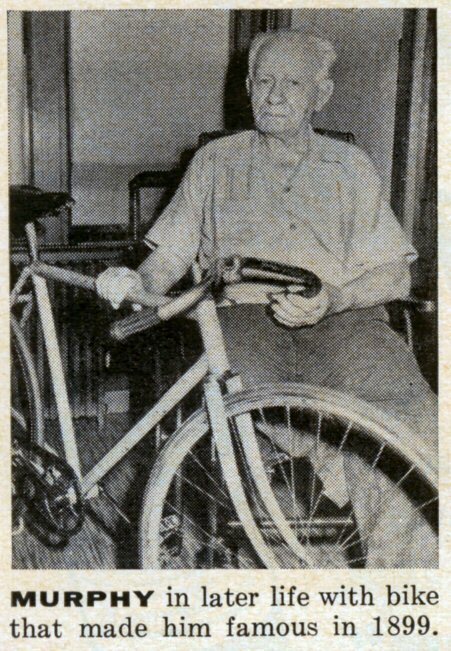 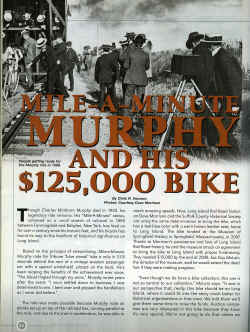 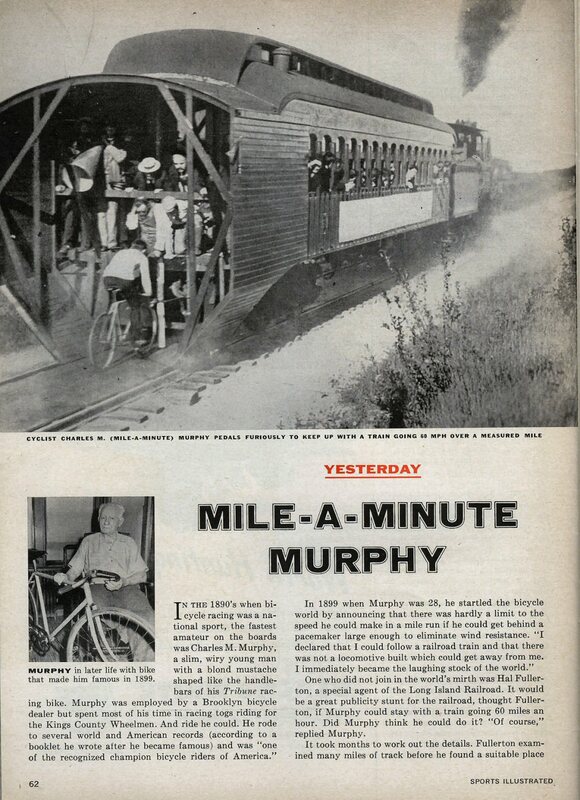 Although none of his test runs had been successful, Murphy did ride one mile in 57.8 seconds during the actual challenge run. 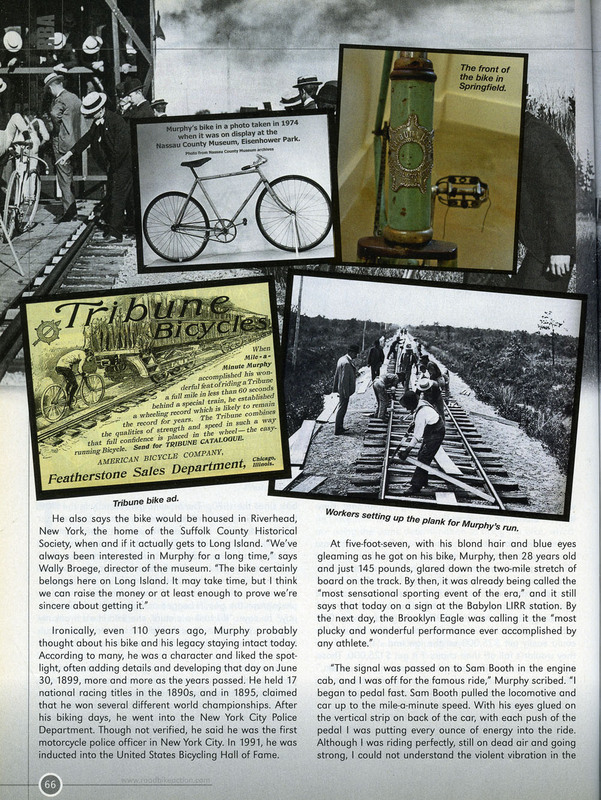 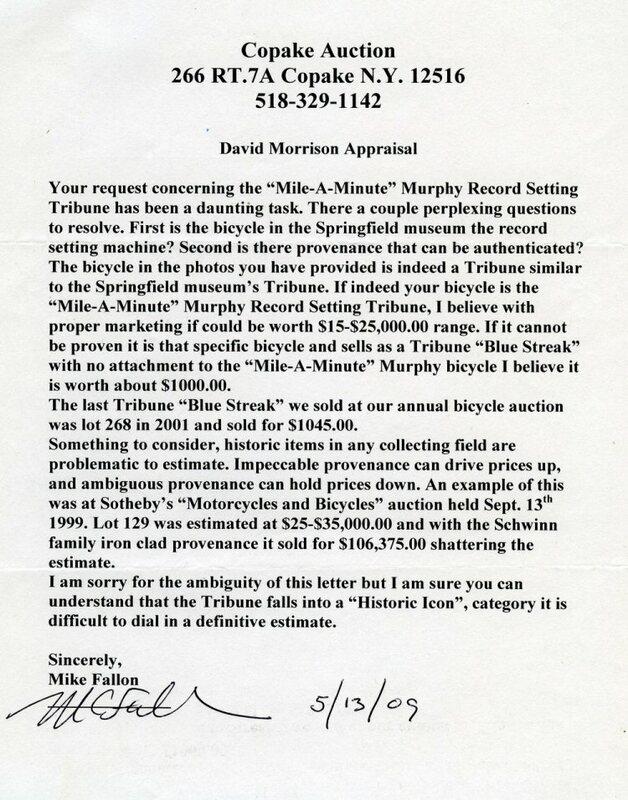 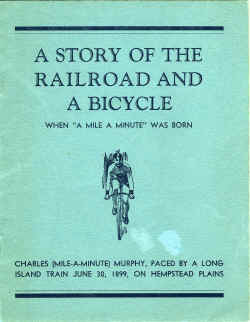 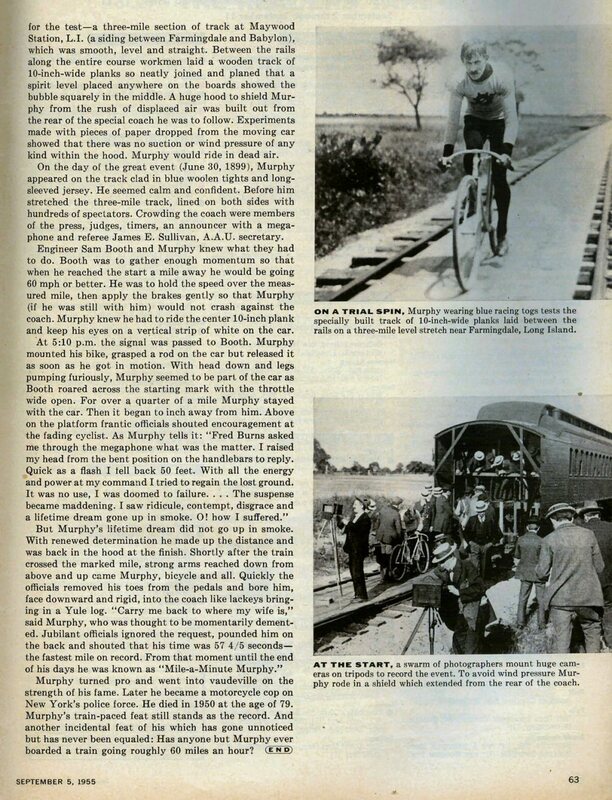 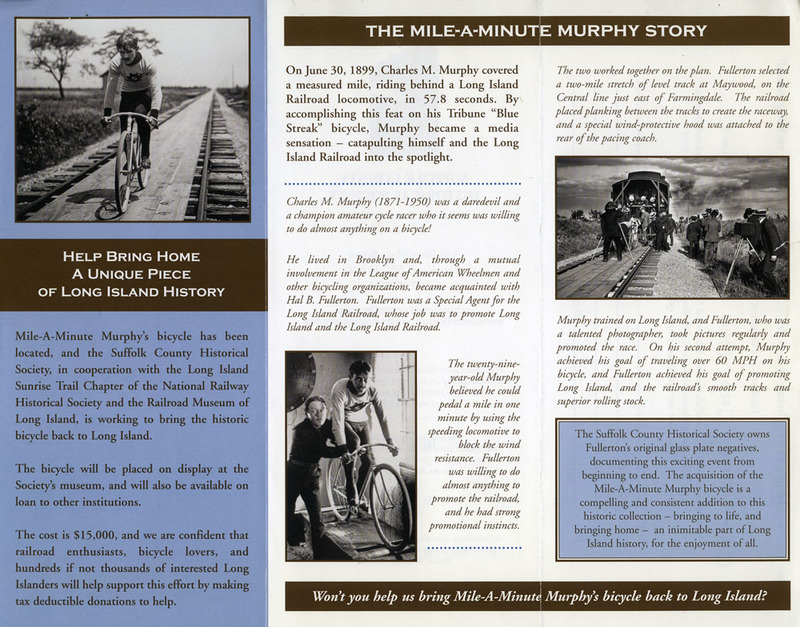 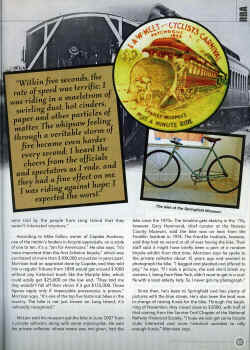 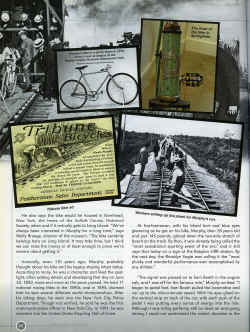 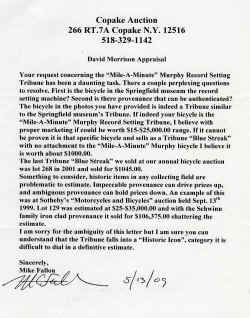 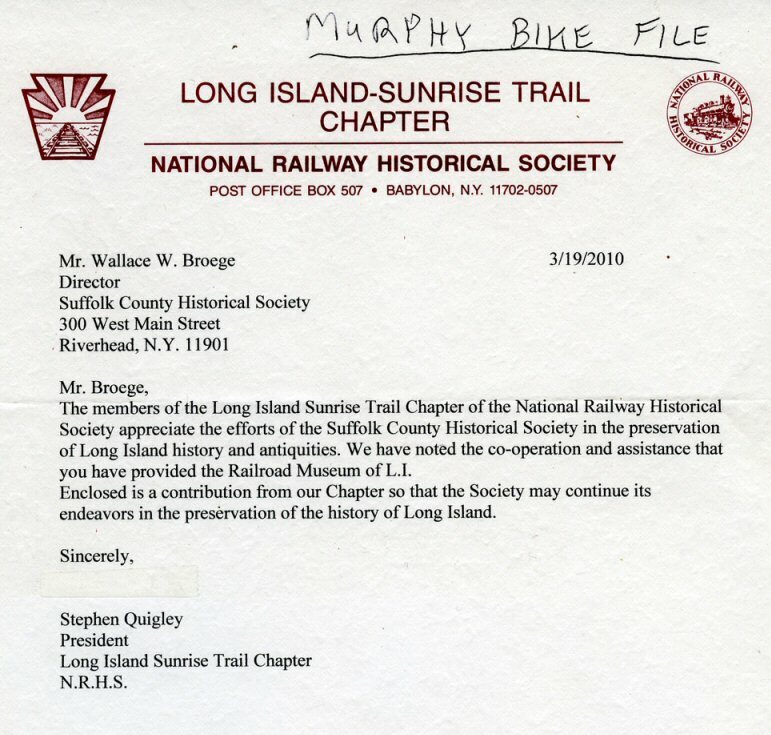 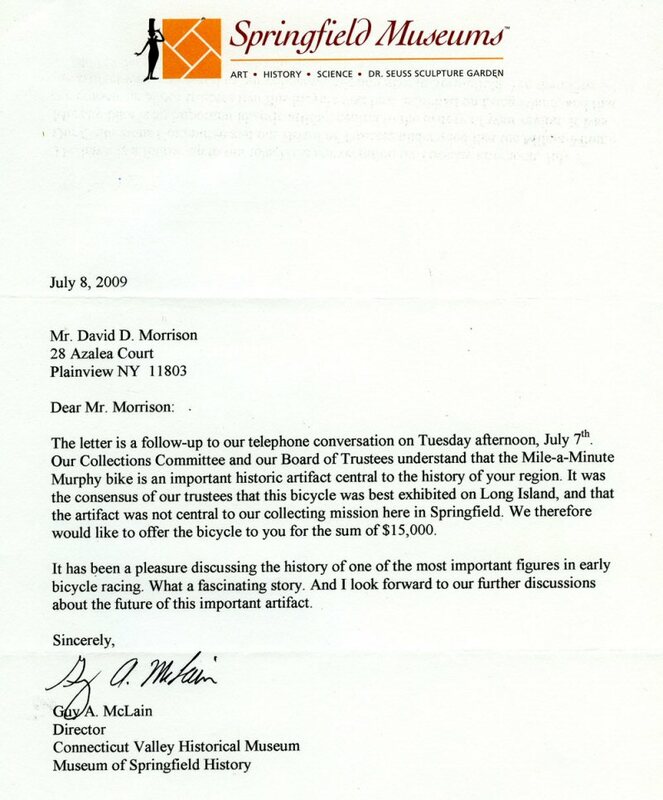 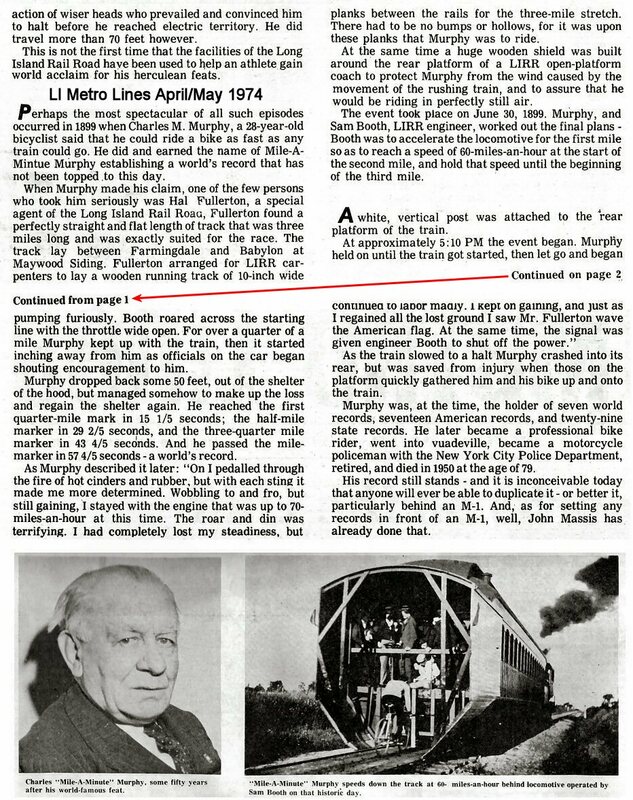 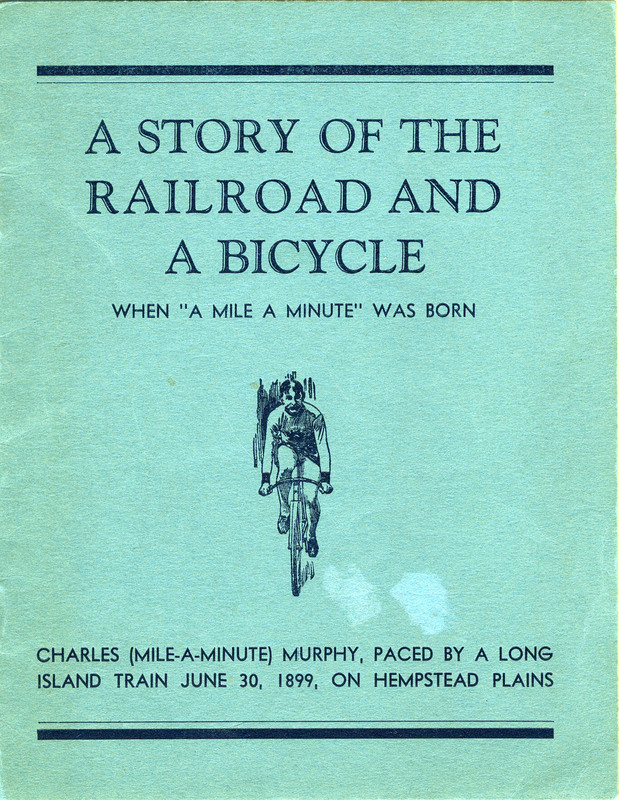 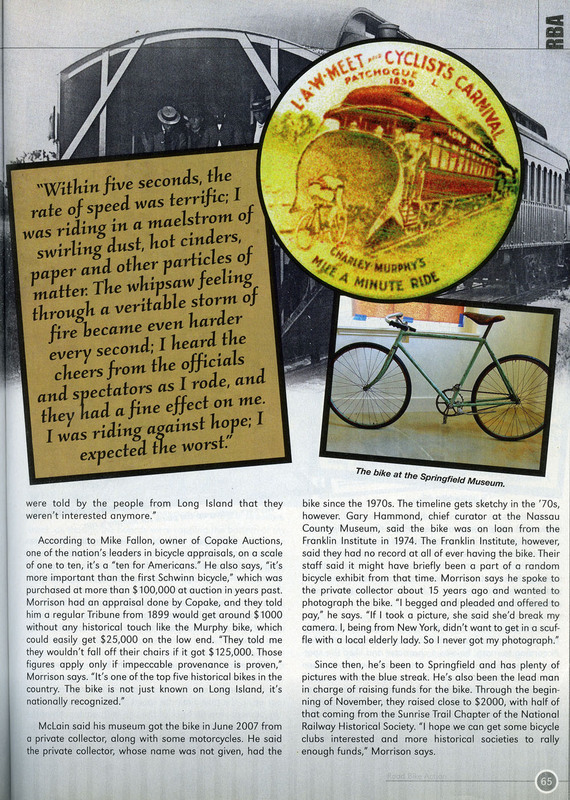 “Mile-a-Minute”became an international celebrity, and Long Island gained valuable publicity as a prime location for cycling..."